Silica Gel Packets desiccant sachets prevent corrosion, mildew and other humidity-related problems affecting moisture-sensitive products. Dust-proof, packaged in tear- and puncture-resistant Tyvek desiccant sachets. Desiccants are ideal for: medical instruments, medical diagnostics test kits, electronic components, food and pharmaceuticals. Clay Desiccant Protect Moisture-Sensitive Shipments These desiccant bags sachets contain activated clay for humidity control in sealed containers by absorbing moisture. Desiccants protects anything that may corrode or spoil. Desiccant sachets and desiccant packets to absorb moisture in vapor barrier bags and pouches. 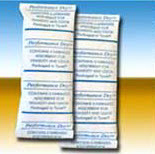 Desiccants sachets prevents corrosion, mildew and other moisture concerns during shipping. Silica Gel Packets on a Reel desiccant sachets are also available on a reel for automatic feeding into automatic loading machines or packaging machines.